I found a new and exciting use for my little sisters toy – goal practise! I have known her name for quite some time now but have never given it away – Daddy said I needed to practise saying it, as it is a bit of a mouthful. Ophelia arrived very quickly at 00:32 on Friday 3rd May, 2013 weighing in at a hefty 3.4kg. 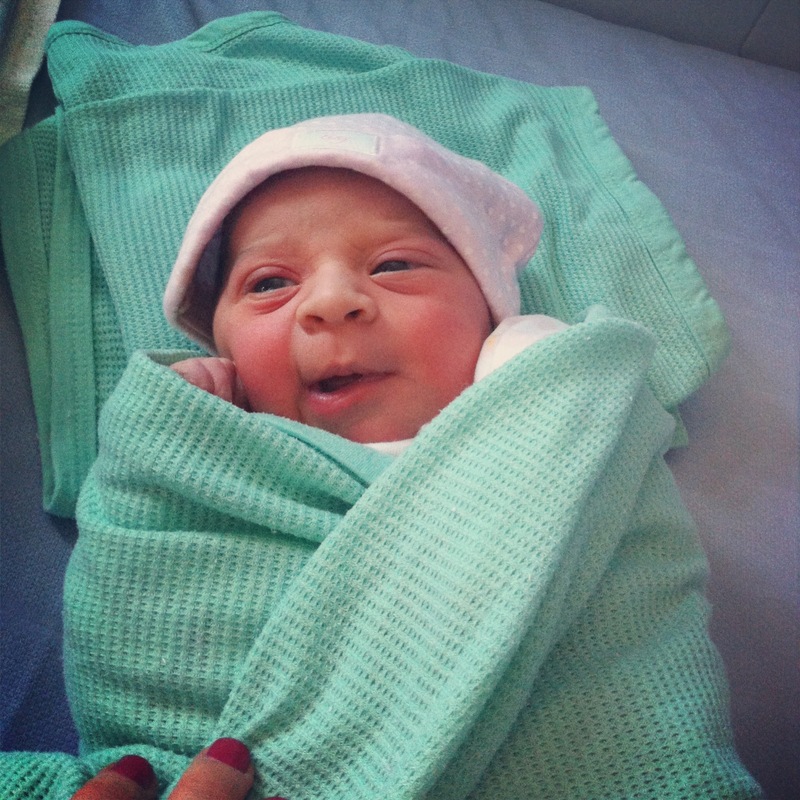 My mummy was in labour for a mere 5 hours – that was super quick compared to my arrival of 10! Mummy was very tough and brave. She had daddy by her side and did it all naturally at Queen Charlottes Hospital. While all this was happening I was quietly sleeping my pretty little head off whilst mummy’s friend Summer looked after me. I was her first visitor and was so happy to see her. Daddy carried me into the hospital on his shoulders, I was fist pumping all the way calling out to my little sister ‘Ophelia! where are you?’ There she was asleep in her little bed next to a tired mummy. I gave her a big kiss and a hug – she is so small, so I have to be very gentle with her. To my surprise she had already bought me a present – what a clever little girl. We left mummy and O for a little bit so they could have a rest and when I came back to see her later in the day I was very happy to see Kiki. I was proud to introduce Kiki to my little sister, Kiki had a cuddle as well. Mummy and little O had to spend the night at the hospital but this morning we went in to pick her up and welcome her back to our little flat. I am so lucky to have a little sister to play with. She is already reaping the rewards of having an older sister as she has a pretty nice wardrobe full of clothes from when I was that small. I have so much to show and teach her but at the moment she is very hungry and sleepy all the time so it might have to wait a little bit. I am one very proud big sister! Welcome to the World little Sis.